The rain is making for dangerous driving and flood warnings around the Bay Area this weekend. On Saturday, heavy rain is expected in the morning, with the heaviest along the coast and in the North Bay. Showers will continue in the North Bay all day into Saturday night. 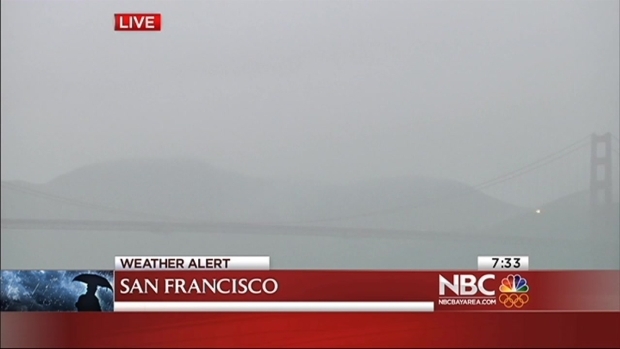 Elsewhere in the Bay Area, rain will continue on and off. There will likely be slick roads. High temperatures today will top out in the 50s across the Bay Area. 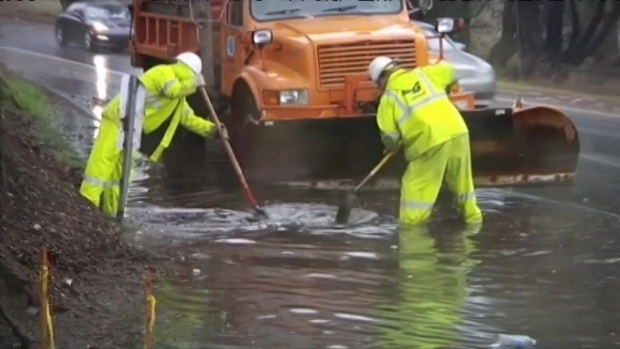 After months of dry weather, a storm coming into the Bay Area is sparking flood warnings and dangerous road conditions. 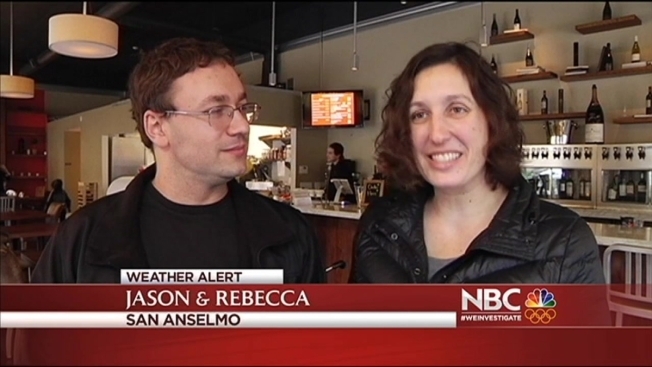 NBC Bay Area Meteorologists Christina Loren and Jeff Ranieri work overtime this weekend to provide team coverage of the storm. In Marin County, Highway 101 was a white-knuckle drive as commuters dealt with not only rain, but with wind too. And as always, some people were more prepared than others to deal with the rain. The Public Works Department in Mill Valley is monitoring creek levels Saturday after crews cleared debris in creek beds Friday. To help keep things flowing, crews are on call all weekend, ready to respond to any weather-related emergency. On Interstate 80 in Placer County, chain controls were in effect and that made for slow going. But there was a potentially explosive situation in Concord, where fire officials said the driver of a propane truck lost control on the slick roadway, went off the road, and into a ditch. He then crashed his big rig into a tree It took two large cranes to pull the rig out, which shut down northbound Highway 242 near Grant Street for a time. The rain is making for dangerous driving and flood warnings around the Bay Area this weekend. 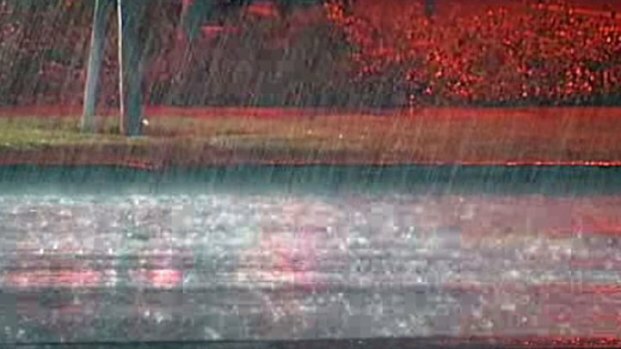 Here is raw video of the heavy downpour in the San Francisco and North Bay areas. Fire crews said the good news is that the propane tank was empty. The driver of that truck was not hurt, but a firefighter did suffer a minor injury while responding to the accident. The National Weather Service has issued a flash flood warning for Sonoma County Saturday that includes the cities of Petaluma and Rohnert Park. 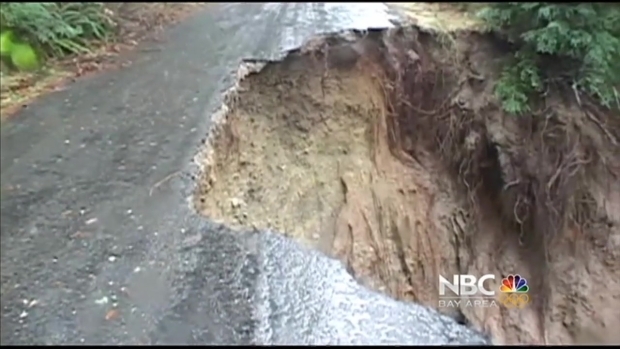 NBC Bay Area's Monte Francis reports live from Sonoma County where the streets are flooded.